This is a comprehensive list of transportation options available to the community in Toronto. This is Mosaic’s list of Palliative Care Resources available throughout Toronto and York Region. 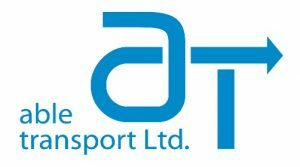 Since 1994, Able Transport Ltd. has been one of North America's most progressive and reputable full-service transportation agencies. Able Transport Ltd. provides passenger transport service to clients 24 hours a day, 365 days a year. A leading on-line retailer in Canada for Home Health Care Products and Adult Diapers, AgeComfort are committed to providing customers with the best shopping experience with each order. With a wide selection of products and industry leading prices along with FREE Shipping AgeComfort is a top choice in Canada for Health Care Products. ALS Society of Canada was founded in 1977. ALS Society of Canada is dedicated to supporting people living with ALS (amyotrophic lateral sclerosis), and investing in research for the future, so ALS will be a treatable, not terminal disease. Kathleen Downie is an educator, artist and arts-in-health practitioner who co-founded the Creative Arts Program (CAP), Division of Endocrinology, at the Hospital for Sick Children in 1995. This innovative arts-in-health program uses a model of collaborative inquiry, engaging professional artists and children alike in creative work that is dynamic and expressive, transforming the experience of patients, families and clinicians within the medical space. Arising from this extensive work Kathleen has developed a learning framework for adults with dementia that is similarly based in shared inquiry. The Reciprocal Teacher- Learner Model (Downie and Polo) uses reciprocity and shared mutual experience to facilitate rich learning processes. In this way the roles of teacher and learner become fluid and interchangeable, permitting a dynamic dialogue that recognizes and elevates the expertise and ability of the learner with dementia. Over the past 5 years Kathleen has facilitated painting workshops for the Alzheimer’s Society of Toronto (at Head Office, Providence Health, and The Bitove Wellness Academy); the creation of the Living Garden Quilt at Baycrest Hospital; workshops for residents and recreational staff at SageCare; and painting workshops at Senior People’s Resources in North Toronto (SPRINT). In addition to this work Kathleen is working to develop more inclusive learning opportunities and spaces for people with dementia in the mainstream. 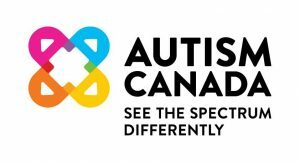 Autism Canada has been the hub of knowledge and understanding about Autism Spectrum Disorder in Canada since 1976. Their mandate is to work collaboratively with provincial and territorial organizations, associations and societies to champion ASD priorities. Bedford Medical Alert is a proudly Canadian medical alert service designed to ensure its subscribers live active, vibrant and independent lives at home. When assistance is needed, Bedford’s 24/7 Responders are available at the push of a button or the auto-detection of a fall. Bedford’s Go-Anywhere GPS service extends peace of mind outside the home. Call us at 416.921.9977 to learn more or visit us at www.bedfordmedicalalert.ca. Better Living Health and Community Services has been delivering community support services in the Don Mills area since 1976. Their mission is to support individuals in the community in maintaining their independence, enhancing their social wellbeing, and optimizing their overall health and wellness through the provision of a wide range of community support services and leisure activities. Better Living is committed to their mission by helping adults and seniors, at all stages, experience a better quality of life. 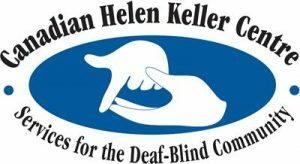 The Canadian Helen Keller Centre looks to provide persons who are deaf-blind access to information and training opportunities to achieve independence and self-reliance through maximizing their abilities, as is their right. Caregiving Matters offers education and support to family caregivers. They are an Internet-based registered charity. 90% of our work is done on-line and by leveraging technologies, 10% is done by producing local educational events. Carol is certified in DementiAbility Methods: The Montessori WayTM in 2012. As a strong advocate for DementiAbility Methods, she conducts workshops and has become a consultant that focuses on helping others put DementiAbility Methods into practice. She works with long-term care residences and private clients helping individuals understand the methods and in turn, changing the way they support people with dementia. Carol’s successful implementation of these methods at a Toronto retirement home, a DementiAbility Methods day program was launched. Carol earned her degree in Communication Studies from Concordia University, is fluent in both English and French, and experience in television production, business development and workshop management. She can be reached for consultation at carol.montessori@gmail.com. Serving the Toronto area since 1974, Circle of Care Day Centre for Seniors provides a number of services for seniors to help them meet their needs. Close to Home intelligently combines 24/7 emergency response and fall prevention technology through a real-time activity monitoring system, without the need for a wearable device or a person’s interaction. In the case of a drastic change in activity or potential emergency, notifications will be sent to care providers or family members via a phone call or text message in real-time. Community Care Access Centre (CCAC) delivers home and community health care and connects people to other services in our community. The Dotsa Bitove Wellness Academy provides opportunities for personal growth and discovery through creative activities, education and learning, artistic expression, discussion, intergenerational inquiry, exercise and enjoyment. The centre was designed with extensive community input and features a double gymnasium, banquet hall, youth lounge, seniors' lounge, two preschool rooms, a demo/cooking kitchen, three craft rooms, fitness and dance studios, a weight room and an indoor, elevated running/walking track. 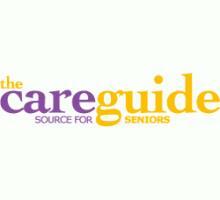 Elder Caring provides advice about Home Care, Assisted Living, Caregiving, Elderly Care, and Senior Care. Elder Caring is a geriatric care management company. Elder Caring will assess your living situation and make recommendations about living well, whether at home or in assisted living settings. Elder Caring has a team of experts in Social Work, Occupational Therapy and other allied health professions. The Elder Caring team has years of experience providing care management while working with the disabled, older individuals and their families and caregivers. ElderCareCanada is an advice and action consulting service aimed at ‘adult children’ seeking advice and hands-on help for all aspects of care for aging parents. Toronto-based, its services are available to clients across Canada, as well as internationally. 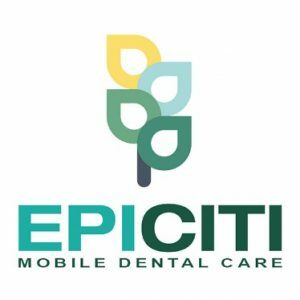 EPICITI is on a mission to promote dental care initiatives and raise awareness of oral healthcare in the community by ensuring that patients and care providers are fully informed. Gordon's Estate Services provides real estate, downsizing and estate settlement solutions. We meet with you and listen to all your needs. We have one simple objective: to design the downsizing or estate settlement solution that’s right for you. Our focus is on your future. We determine the best way to market your home, help you sort through belongings and choose what to keep, how to beautify your home for sale, sort, pack, clean, ship, manage any extra assets, and anything else you need. We sell your home, help you move into your new home and ensure that you’re completely settled. Your downsize happens seamlessly and effortlessly so you can get back to enjoying life! We help. You move on. Haircuts on Wheels is the premiere mobile hair service of Toronto specializing in seniors, people who are ill, and those with disabilities. Their team travels to homes, hospitals, rehabilitation centres, long-term care facilities, and retirement communities. The Heart and Stroke Foundation wants to help us lead healthy lives free of heart disease and stroke. Holland Bloorview Kids Rehabilitation Hospital is Canada’s largest children’s rehabilitation hospital focused on improving the lives of kids with disabilities. Holland Bloorview is a global leader in applied research, teaching and learning, and client and family centred care. 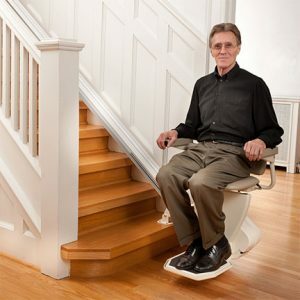 Home Stairlift Rentals was created to meet the growing need in the Home Health Care market for a reasonably priced and professionally delivered stairlift rental service. With over 25 years serving Home Health Care clients, the company founders know the requirements of their customers; the elderly, disabled and rehabilitation clients. 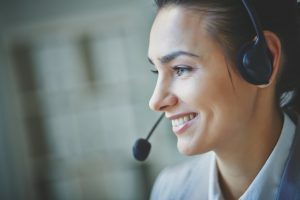 They will be well served by a committed team, who are courteous, professional, and straightforward in assisting families, providing effective solutions to their home mobility challenges. 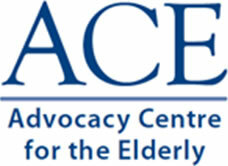 In 1981 Jill O'Donnell formed Complete Geriatric Care (now Iris Consulting for Seniors), the first private sector organization in Canada to provide seniors, their families and their professional advisors with information, education, advice, advocacy and counseling regarding seniors' needs and issues. 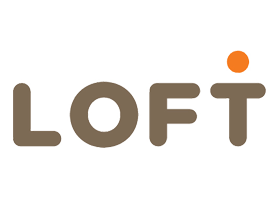 LOFT steps up to serve those most in need by offering them the safety and stability of housing and the practical support they need to regain their dignity and take control of their lives. Lumacare aspires to enhance, engage, and empower the members of a diverse community by providing equitable, accessible and high quality services. March of Dimes is a community-based rehabilitation and advocacy charity for people with physical disabilities. Their goal is to enhance the independence and community participation of people with physical disabilities every day through a wide range of programs and services across the country. Meals on Wheels and More provides critical services to frail seniors and vulnerable adults in North York. Their services help people Stay Independent so they can continue to live in their own home. Memory & Company is Canada’s first Alzheimer’s health club. Their goal is to have a place that anyone would enjoy. The upscale, private social club and spa that just so happens to be a day program, specializes in the health and happiness of people with Alzheimer’s and related dementias. Open Monday to Saturday, Caregivers can return to work, run errands, reacquaint with friends and hobbies, or simply take a break, one to six days-a-week. The Seniors Centre offers various activities to stay active in body, soul and mind. 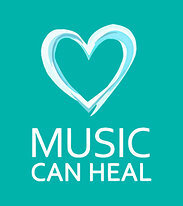 Music Can Heal is a non-profit organization that brings peaceful, healing music to patients in care facilities and to those living in retirement facilities. NICE is an international network of researchers, practitioners, students and seniors dedicated to improving the care of older adults, both in Canada and abroad. Members represent a broad spectrum of disciplines and professions, including geriatric medicine, gerontological nursing, gerontological social work, gerontology, rehabilitation science, sociology, psychology, policy and law. North York General Hospital, affiliated with the University of Toronto, is one of Canada's leading community academic hospitals. North York General Hospital offers culturally diverse community a wide range of acute care, ambulatory and long-term care services across three sites. North York Seniors Centre strives to enable the aging population to remain vital, healthy and connected to their community while enhancing the lives of all seniors who need assistance to live safely and independently in their own homes. Home Care Ontario, the voice of home care in Ontario™, is a member-based organization representing providers of quality home care services from across Ontario. OHCA members represent an estimated 25,000 staff collectively serving 350,000 Ontarians per year. One Step Ahead Mobility is dedicated to helping clients achieve well-being through physical activity and functional mobility. 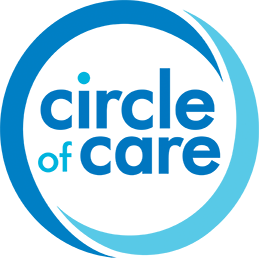 Parkinson Canada (formerly the Parkinson Society of Canada) is the national voice of Canadians living with Parkinson’s, since 1965. Parkinson Society Canada guides the way for people affected by Parkinson’s in four key areas: Research, Education, Advocacy and Support. Canada's #1 Medical Alert System & Medical Alarm Service, helping seniors and people with disabilities stay independent. Trusted by doctors and caregivers. Physiomobility Home Physiotherapy is a division of Physiomobility Health Group that offers patients a comprehensive, convenient, holistic approach to recovery at home. Our home healthcare services in Toronto bring our state-of-the-art orthopaedic physiotherapy centre to you. Rapid City Transportation is a provider of personal transportation in Ontario for people who need special care, by providing door-to-door, concierge-style transportation services of the highest quality, where safety comes first. Since 2004, Red Coats have helped over 1000 families downsize and transition to their new homes. Red Coats ensures your peace of mind by managing every detail of your move with professionalism and the highest level of personal service. Canada's largest museum offers a great outing with friends and family. Take a trip through history featuring dinosaurs and artifacts from around the world! SPRINT Senior Care began caring for seniors and enabling seniors to care for themselves in 1983. 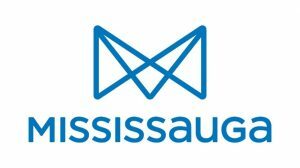 They continue to do so today as an accredited, not-for-profit community support service agency in Toronto by offering a wide range of practical and low-cost services to seniors and their caregivers. SPRINT's services help seniors stay safe, connected, and live as independently as possible, as well as prevent premature or inappropriate institutionalization. St. Clair West Services for Seniors is a non-profit charitable organization which provides valuable, innovative, and caring support services to older and/or disabled adults who wish to maintain their quality of life while living in their own homes. St. Clair West Services for Seniors provides a range of services, including Adult Day Services, Case Management, Home Help, Meals on Wheels, Respite Care, Supportive Housing and Transportation. 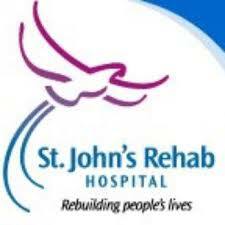 St. John’s Rehab Hospital is dedicated to specialized rehabilitation, rebuilding the lives of adults recovering from life-changing illness or injury. 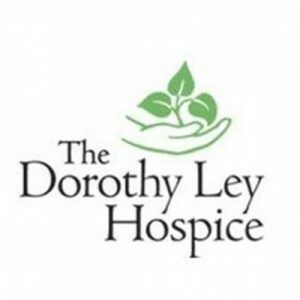 Founded in 1990, The Dorothy Ley Hospice is a volunteer-based community service organization offering compassionate care to people living with the challenges of a life-limiting illness or loss. The programs meet their physical, emotional, spiritual and support needs helping them to live life to the fullest. The services are provided at no cost to the individual thanks to the generosity of our donors and community partners. The Thornhill Seniors Club is a not-for-profit community organization representing the seniors of Thornhill, Ontario. Thornhill is one of four major communities that comprise the City of Markham. Founded in 1999 following the amalgamation of the City of Toronto, the Toronto Council on Aging is a non-profit organization working to address the issues and concerns of older adults in Toronto. 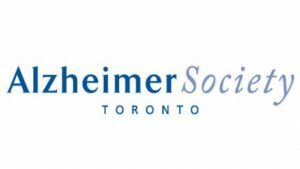 The Toronto Memory Program is a multidisciplinary, community based, medical facility specializing in the diagnosis and treatment of Alzheimer’s disease and related disorders. It is one of the largest clinical trial programs for Alzheimer’s disease in the country. TransCare Community Support Services, formerly Scarborough Support Services, is a registered, charitable corporation providing high quality care and compassionate service. Yee Hong strives to provide high quality and culturally appropriate services to enable seniors of different backgrounds and needs to live their lives in the fullest – in the healthiest, most independent and dignified ways.